On my last overnight bike ride, where my husband and some friends and I peddled about 65 miles, I realized really quickly the importance of having good tools. Ben's bike broke down literally 5 miles into the start of our second day and we were stuck. Turns out the fix required a trip to the bike shop for a part but I became aware, rather quickly, that being prepared for anything is extremely important. Topeak has fantastic tools, most of them super portable. The Helix X has become my new friend. I've used it almost every time I've gotten my bike out. You'll see the Hexus X is just about all my pictures in this post. Number one because it's so handy to have every tool I need in one product and number two, because it's small and light weight enough for me to take it everywhere. I won't be taking anymore bike trips without the proper tools along for the ride! Click HERE to take a closer look at the Hexus X. After sitting all winter, it's always a good idea to check the pressure on all your bike tires before heading out for your first ride. We have four active riders in our house and the Topeak Joeblow Pro X pump made light work of getting every bike ready to hit the road. 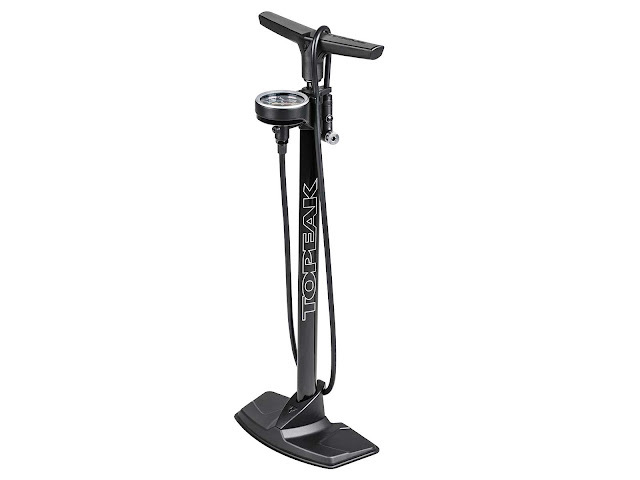 After using the Joeblow Pro X, I realized just how much a piece of junk my last bike pump really was. Ever have that problem when your have to put just as much effort to stand on the pump to keep it from falling over as you do pumping up the actual tire? Yeah, that used to be me with my old pump. The Joeblow Pro X is sturdy and clearly built for quality. Now my bike pump isn't falling over while I'm trying to properly inflate my tires. My bike doesn't have a kickstand so being able to pump up my tires while my bike is on it's stand is a bonus feature for me. The quick air release button makes it simple to make sure you have the perfect pressure in every tire. Click HERE to take a closer look at the Joeblow Pro X. One important rule of riding in Spring is to make sure your bike is always equipped with proper lights and horn. Those late Summer nights haven't quite arrived and you never know when you might be biking in the dark. I bike on the C&O canal quite a bit and there, having a horn is required. 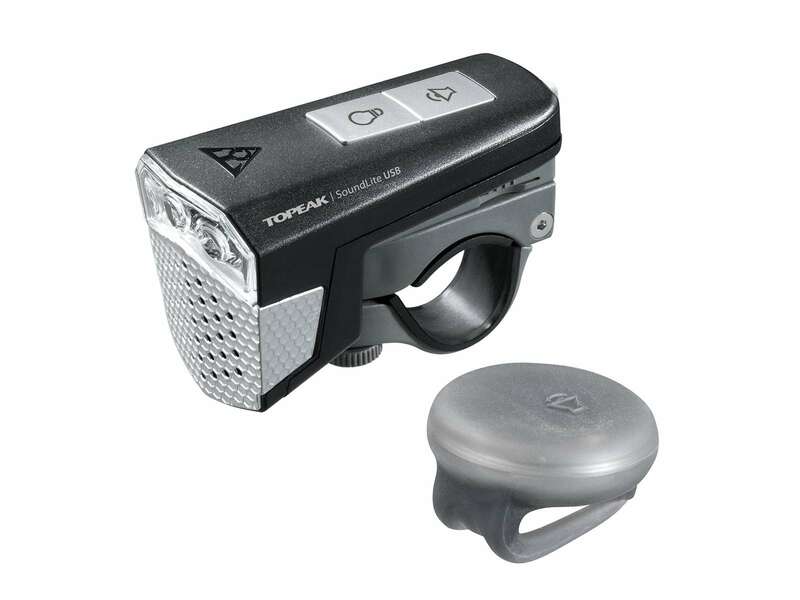 Topeak saves me some room on my handlebar with a two-in-one light/horn combination, the SoundLite USB. With wireless sound controller, integrated design of sight and sound provides dual safety for bike riders. 3 Super Bright LEDs and 75 - 97 dB horn with 4 distinct sounds can be seen and heard by motorists, cyclists, and pedestrians. Features Wireless Control for sound. The SoundLite USB was incredibly easy to charge and mount. 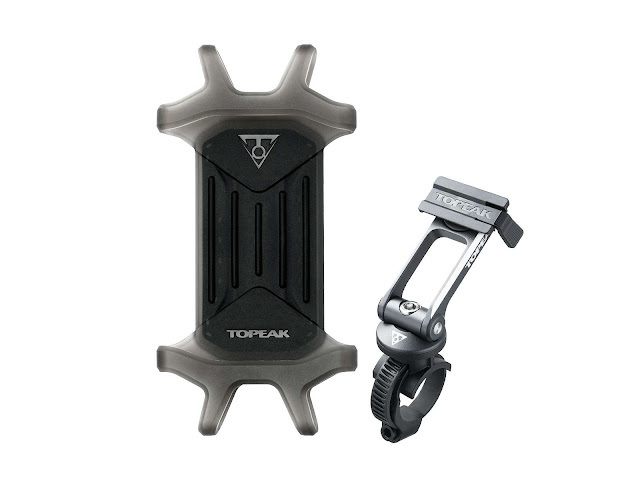 I have really come to appreciate the mounting systems that Topeak uses. With the SoundLite USB, I'm able to leave the base on my bike, and slide the light/horn off and on with ease. I traveled some back roads home in the dark just last week and had enough lighting to see the roadway in front of me. The buttons on top of the product make it user friendly and the extra wireless remote is just a new way to spoil the rider by allowing the horn to be used with either the right or left hand. The horn is loud enough for everyone to hear me coming and I look forward to startling many riders and walker on the canal this year (insert the LOL)! Being able to charge the SoundLite by USB is also a plus. Click HERE to check out the SoundLite USB. When biking, I use my phone for navigation, listening to music, counting my miles, measuring my speed, and Face Timing my kids. It's pretty much the one accessory I use most on my bike. Topeak has some user-friendly, easy-mountable RideCases this Spring and I was more than excited to take a closer look! 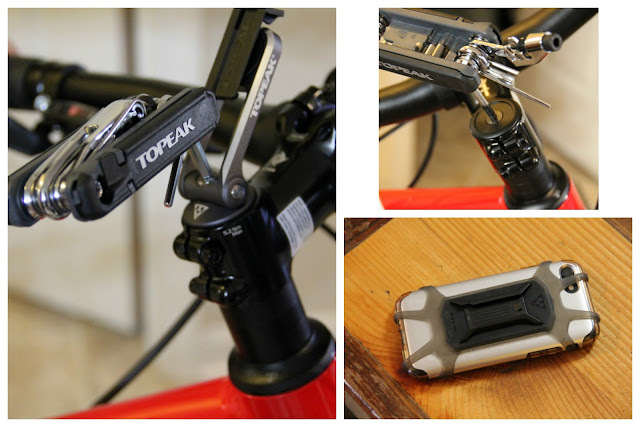 Works with iPhone 6 Plus / 6s Plus / 7 Plus / QuickClick Clip in your iPhone to use as a cycling computer with apps, including the Topeak Panobike app, use it to navigate as a GPS device, listen to music, and much more while riding. The RideCase has a separate protective composite fiber panel which integrates with the high-grade engineering plastic exoskeleton to securely hold your iPhone while on the go. Its unique and full angle adjustable mount allows viewing in landscape or portrait orientation and lets you mount or remove the RideCase in seconds. I've used other phone mounts in the past, most of them used the rubber band mounts. I never knew what I was missing until I used the Topeak RideCase mounts. I attached the mount myself in under 5 minutes using the Hexus X tool. The QuickClick system, which is the same system Topeak uses for a lot of their other products, keeps my phone secure while riding but also makes it easy to remove my phone when I need to. If you don't want to mount your phone to the stem, you can also choose to mount it on your handlebars. I love that I can have my phone and all of it's features right in front of me. 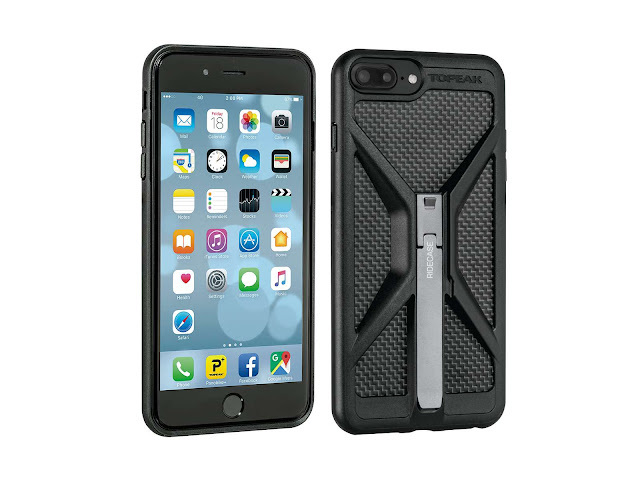 My iPhone works better with the RideCase (I recommend this for all iPhone users) than the Omni because the OmniCase bands cover up a portion of my home screen button. The Omni is still a great universal case and mount though with that great QuickClick mounting feature. 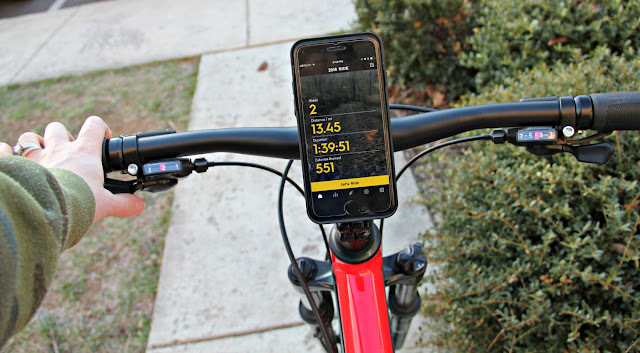 If you are looking for a FREE bike training App (available for both Android and Apple phones), I highly recommend checking out Topeak PanoBike +. I use it now every time I ride! This time of year it's raining one day and sunny the next. Getting your bike Spring ready means storing it in such a way that it's easy to take out and put away in between rides. I can't really put into words just how much I love the Dual-Touch Bike Stand because it surpassed all my expectations. As my husband and I were assembling it he kept saying over and over, "No really, this is too easy!" An elegant solution for storing your bikes. Looks great in the house or the garage. Includes two bike mounts. Holds up to four with optional mounts. 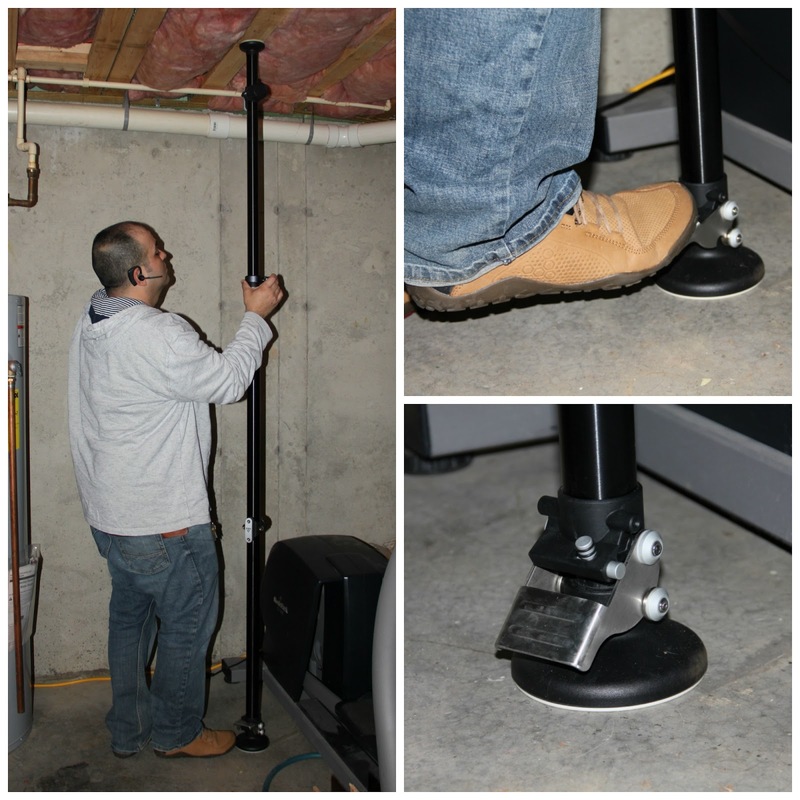 Installing the post of the mount was as easy raising the post and placing it right under the stud, then simply step on the pedal to secure the post in place. This step took us a whopping 2 minutes. From there the steps were as simple as putting together two mounts to hold our bikes. We used the Hexus X again which made the job a snap. Both the mounts and hooks are adjustable which aids in fitting your bikes properly in the space you have. We'll be moving into a new house this Spring or Summer but for now we are packed pretty tightly into a townhouse. Right now the only space we have for storage is our basement. 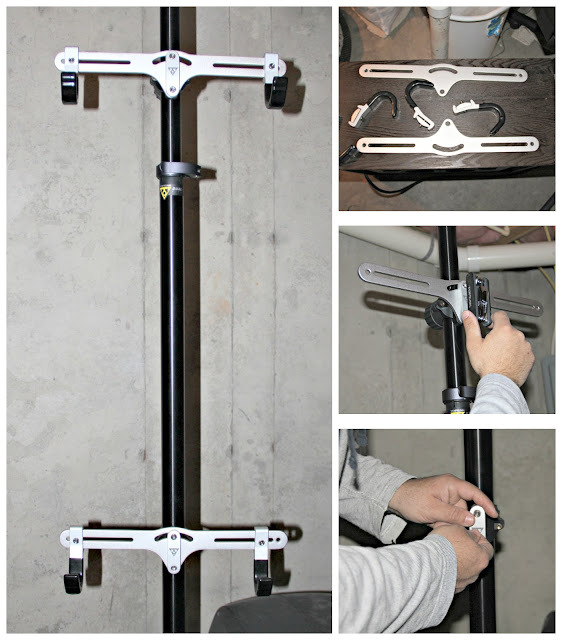 The Dual-Touch Bike Stand was without a doubt the best solution for our home! 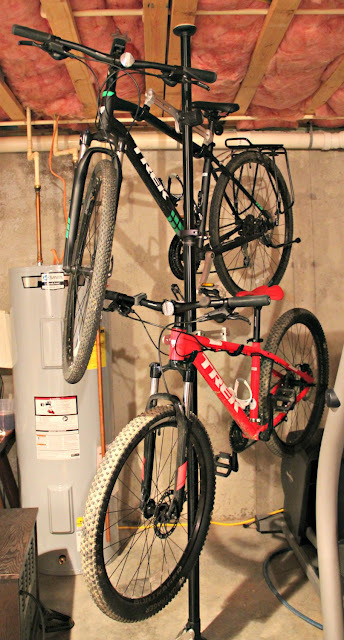 Once we get settled in our new home, we will be updating our garage or basement with Dual-Touch Bike Stands to hold all our bikes in between rides. There's just no better or easier solution for organizing a space while at the same time keeping your bike stored safely. 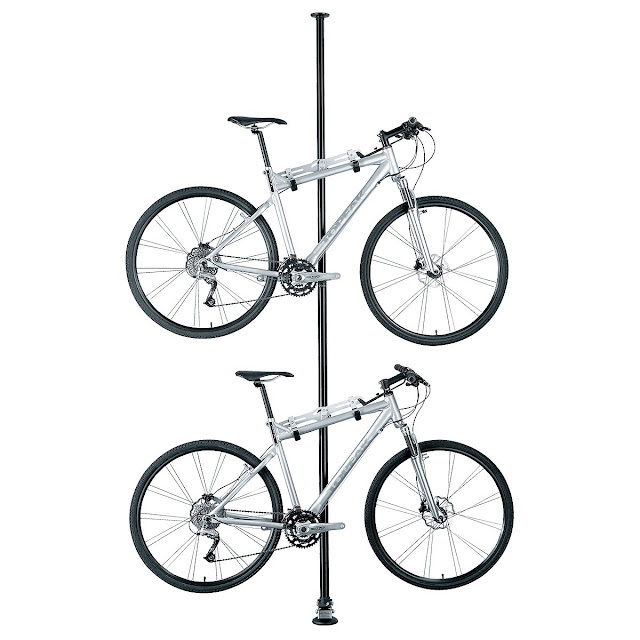 Click HERE to check out the Dual-Touch Bike Stand. The feeling of the pavement and dirt under my tires is exhilarating. Just because Springtime doesn't always corporate with my biking plans, doesn't mean I'm goin to let the time slip away or let the rain get me down. Days where I can't get out and enjoy the ride are just days I can spend prepping myself and my bike for the next adventure. No matter what I need to make my ride successful, whether it's before, during, or after the adventure, Topeak has the solution! 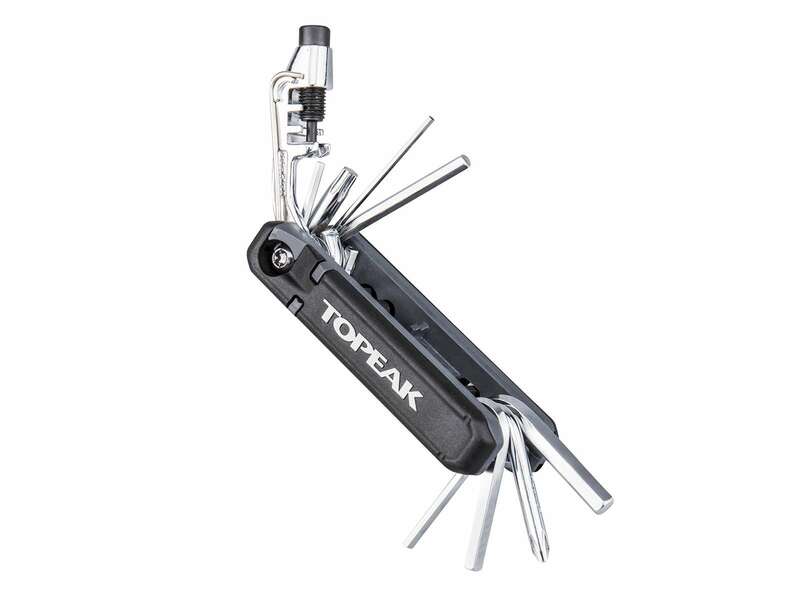 Visit Topeak online to check out all the products you need to make your bike Spring ready!